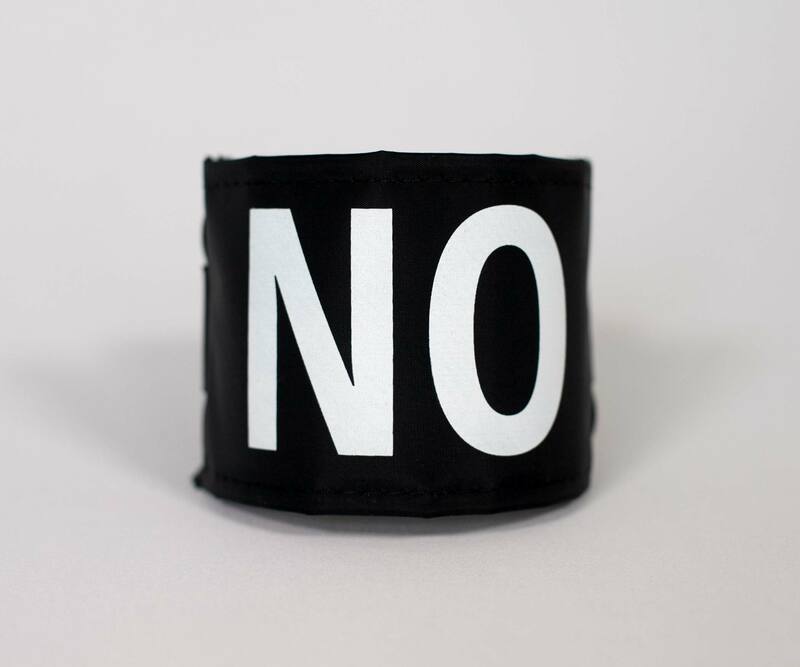 The word “NO” printed on a black armband. 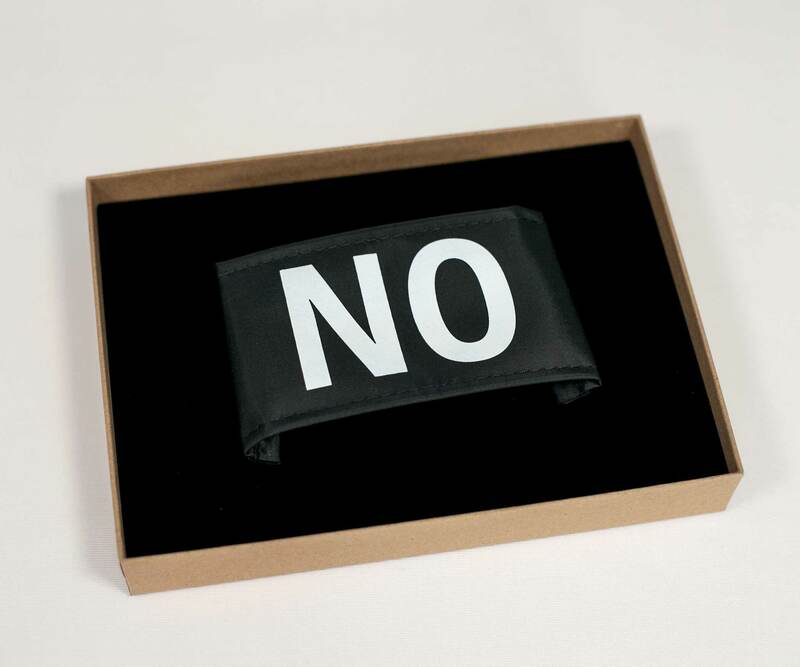 This object was part of the staging of the NO GLOBAL TOUR, which ran from 2009 to 2011 and was made into a film in 2011. A large metal sculpture of the word "NO" was transported by truck around the world and installed in different locations. 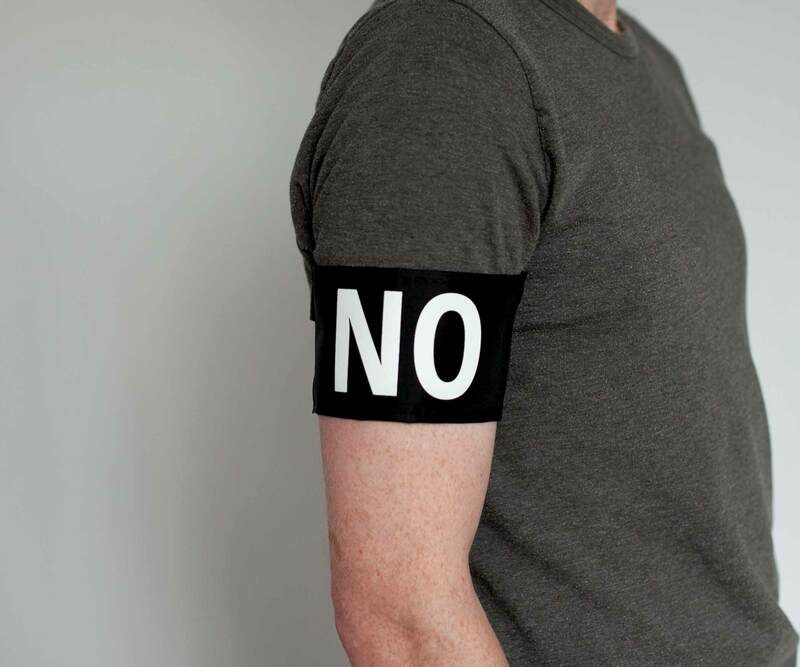 The drivers of the truck and technicians setting up the sculpture wore the armbands.